Take it from a medical malpractice attorney – “Everyone makes mistakes”, right? Absolutely! Ordinary people say and do the wrong things every day. However, many people expect more from doctors, incorrectly imagining that medical training can somehow lead to perfection. Sadly, no such perfection exists. Doctors, surgeons, nurses, medical technicians and paramedics are human like all the rest of us and occasionally make mistakes of their won. Though most doctors strive to do good work and treat patients well, there are exceptions to every rule. Studies estimate that as many as 200,000 people die each and ever year in the United States from some form of medical malpractice. Despite all our modern technologies and shiny hospitals, hundreds of thousands of people continue to die largely unnecessarily. In cases where negligence or recklessness was responsible for the death, it’s good to know that injured patients or their families can hold the responsible parties accountable for their actions. To find out more about medical malpractice in South Carolina, keep reading. How Serious Is Medical Malpractice? According to the Journal of the American Medical Association, medical negligence represents the third leading cause of death in the Untied States, behind only heart disease and cancer. Last year more than $3 billion was spent in medical malpractice payouts, a figure which represents a payout every 43 minutes. This kind of problem is an epidemic and can impact anyone. There’s little that you can do to protect yourself from someone else’s mistakes, one of the most worrisome aspects of medical malpractice injuries. Medical malpractice is a specialized form of negligence. Unlike simple negligence, which occurs when someone fails to mop up a wet floor and another person slips and falls, medical malpractice refers to the negligence of health care professionals. Medical malpractice lawsuits can be filed against doctors and hospitals over mistakes made by physicians, surgeons, nurses, medical technicians or any other employees whose actions caused harm to patients. Medical malpractice exists when a doctor or other medical professional fails to operate in the way that another reasonably competent doctor would have. This failure to behave in a competent and professional manner can lead to legal liability for both hospitals and doctors, depending on the facts of the case. Medical malpractice can occur in a variety of contexts. One of the most common sources of medical malpractice lawsuits is for diagnostic error. Some recent studies have found that misdiagnosis is responsible for as many as 160,000 deaths or permanent injuries each and every year. Misdiagnosis happens when doctors fail to consider what should be obvious diagnoses for the patient’s symptoms. Misdiagnosis also happens when doctors don’t perform enough tests or ask enough questions to zero in on the correct diagnosis. By failing to rigorously test possible diagnoses, doctors increase the odds of dispensing improper medication to a seriously ill patient. This can lead to not only to worsening conditions, but can even create new health problems that will now need to be diagnosed and treated. Surgical errors occur with alarming regularity; by some estimates 4,000 such events take place every year in the United States. A common surgical error is leaving equipment, like towels, scalpels, syringes and sponges, inside patients. 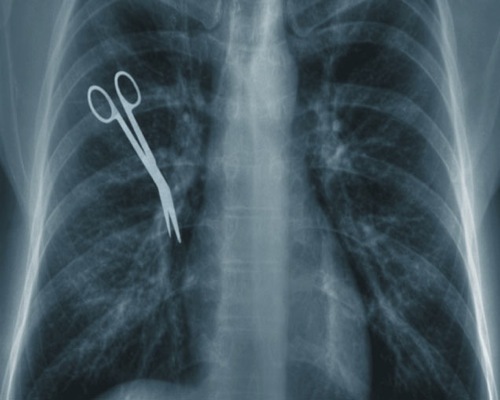 Surgeons also operate on the wrong parts of a patient’s body far more than many people would suspect. Estimates are that incorrect surgical operations occur 20 times each and every week, such as surgeons performing hip transplants on perfectly healthy hips. Finally, surgeons also cause serious damage to patients when they perform the wrong surgery entirely, subjecting an unsuspecting patient to a traumatic and lengthy recovery period for a problem they never had. What’s most troubling about surgical errors is the ease with which many could be eliminated. Simply creating checklists and encouraging health care professionals to talk with one another or double-checking details before beginning any surgical procedure, would drastically reduce if not totally eliminate many of these problems. Medication errors happen all the time and can occur due to problems at many steps along the way. A doctor could mistakenly request the wrong medication, a nurse could incorrectly dispense the wrong pills or inject the wrong drug. Finally, pharmacists could misread a prescription or just mistakenly dispense the wrong medication to a patient. These errors add up and experts believe that nearly 1,000,000 such medication errors happen every year. These errors can sometimes be harmless, switching out one pill for another similar drug. Other times, the mistake can be deadly, with patients receiving improper doses of powerful drugs or being denied access to medicines they badly need. Studies have shown that more than 7,000 deaths occur every year due to medication errors, a preventable problem that takes a serious toll. Anesthesia errors are another common form of medical malpractice and they occur when an anesthesiologist, doctor or nurse makes a mistake while administering anesthesia. Common examples of anesthesia errors include administering too much or too little of an anesthetic drug, something that can lead to patients waking up too soon during surgery or not at all. Anesthesia errors also happen when anesthetics are mixed with other drugs mistakenly, leading to serious consequences. These errors can happen for a variety of reasons, including defective equipment, negligence, incompetence on the part of the doctor or miscommunications over a patient’s medical history. What Do You Need To Prove In A Medical Malpractice Case? To win a medical malpractice lawsuit in South Carolina, an injured patient will first need to set about determining the standard of care that is applicable to the case. That’s because medical malpractice laws require patients to show that a doctor has failed to provide a standard of care that a reasonable health care professional in similar circumstances (meaning a similar practice area and community) would have in a similar case. To start, you’ll need to identify what that standard of care is, before showing how your doctor failed to live up to that standard. To establish the standard of care used by a reasonable medical professional, many patients will need to rely on expert testimony from another doctor. Expert witnesses are used to testify as to common practice in the medical industry and show how the course of action taken by your doctor differed from this common approach. The expert can then testify as to the unreasonableness of your doctor’s actions, establishing that your doctor breached his duty of care. One important note about this step in the process, it can sometimes be a real challenge to identify a doctor willing to testify against another doctor, especially a doctor in the same or similar field. The sad truth is that doctors often like to stick together and many are reluctant to testify publicly against a colleague in a medical malpractice case. This doesn’t mean securing an expert is impossible, just a warning that it can be more difficult than you might expect. Finally, injured patients will need to show that the injuries they sustained were the result of the doctor’s negligence. Even if you show that your doctor dispensed substandard care, you will still need to demonstrate that it was this substandard care that caused your injuries. You’ll need to show that your current health would have been different were it not for the negligent conduct of your doctor, something that can be more difficult to prove than you might expect. What Happens Once You Have Been Injured? If you’ve been the victim of medical malpractice, whether it was misdiagnosis, a surgical mistake, medication error or anesthesia-related trouble, you are entitled to bring a claim against the responsible parties. Injured patients are entitled to compensation not only for the medical expenses related to the case, but also any future medical costs associated with recovering from the injury. Additionally, a skilled South Carolina medical malpractice attorney can ensure that patients are compensated for lost wages and pain and suffering. The goal is to ensure that you and your family are made whole again after recovering from the harm suffered at the hands of others. David Aylor has assisted countless injured individuals across South Carolina and helped secure damages for the harms they’ve suffered. David Aylor understands that medical malpractice can devastate a patient and his or her family, leaving everyone worried about how the injured individual will get back on his or her feet, both physically and financially. If you’ve been injured by a doctor, nurse, paramedic or medical technician and believe you have suffered from South Carolina medical malpractice, feel free to contact David Aylor today at 843.577.5530. How Long Do You Have to File a Medical Malpractice Case Against a South Carolina Healthcare Provider? Is the Hospital Liable for My Doctor’s Malpractice?